1/29/2018, We got a great article on "FOOD & WINE"
We got a great article about Aedan Fermented! Mariko Grady of Aedan in San Francisco relies on two kinds of koji (barley and rice) for her delicious miso that tastes like self-care in umami form. Miso has always been a constant in the life of Mariko Grady, a former actor and singer. She grew up in Mie, a prefecture in Japan’s Kansai region, known for its many rice fields and, in turn, many soy sauce, sake and miso companies. At the first cooking class she attended as an elementary school student, she shared her mother’s homemade miso to cook soup with her classmates. And when her family moved from the countryside of Mie to cosmopolitan Nagoya in the Aichi prefecture, they brought along a small box of the family miso to their new tiny apartment—and to every other home they made as they moved every few years for her father’s telephone company jobs. 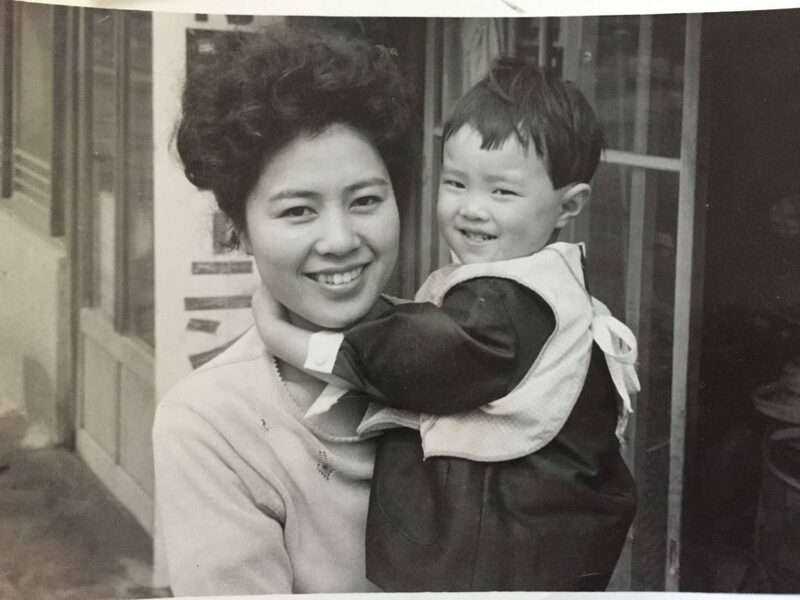 When she went on to study law at Hitotsubashi University in Tokyo, she instead fell in love with the performing arts and ended up traveling the world with her theater troupe for the next 25 years. In that time, she started making miso herself as a way to stay healthy while on the road. But as she perfected her method, she ended up finding herself in that salty mush of soybeans and koji (what Japan calls its national mold because it's an integral ingredient in making miso). The first change came 16 years ago, when she met her husband while performing at the Yerba Buena Center for the Arts in San Francisco. Grady stayed put in San Francisco and dove deeper into researching and making miso as a way to nourish her new family. 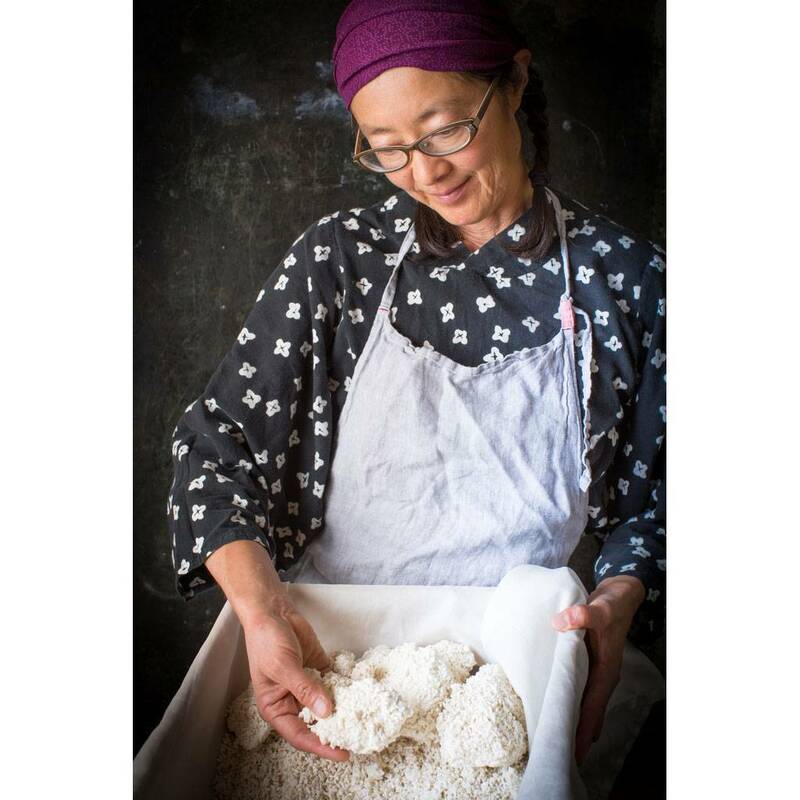 She learned how to make her own koji—inoculating the koji-kin and letting it rest for three days—since she wasn’t in Japan as often to pick up the koji she normally relied on. The second change came seven years ago when the Tōhoku tsnunami hit. She quickly started selling her miso as a way to raise funds for relief efforts. But when the fundraiser ended and she ran out of koji, people kept coming back for her miso. And so she started Aedan, cranking more miso out of La Cocina’s kitchen incubator in 2012 and debuting her first stand at the Ferry Plaza farmers’ market two years ago. That’s how I stumbled upon Grady’s country miso last summer, a chunky mix of soybeans, rice koji for sweetness, barley koji for complexity, salt and water. The bits of barley you can see in the brown smush of mashed soybeans intrigued me, and I soon found myself spooning a bit of it into every soup last month when I was getting over a virus. It’s almost like a healthy version of pimento cheese—super savory, thick and textural and just sweet enough—and folding in this prized hunk of umami felt like cushioning everything I was eating with a bit of self-care. And I think that’s what Grady is aiming for with Aedan—and with a new miso café in the future. 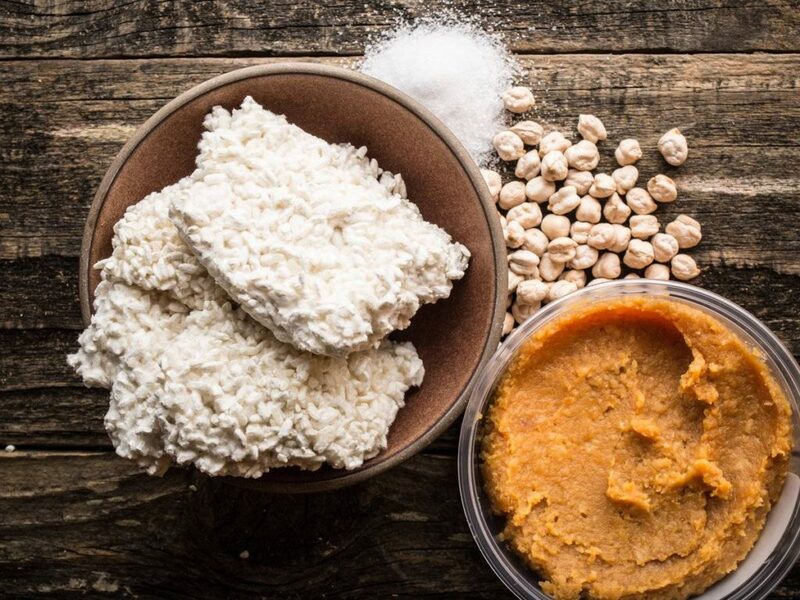 “I want to share the wisdom of how to live both a simple and healthy life through koji-fermented foods and the Japanese lifestyle,” says Grady. At the upcoming café, that means customizing your own miso soup, taking classes on how to make miso and buying Aedan’s products for your future wellness at home. She’s been looking for a space for a while now, but she’s not in a rush. “I want to make sure myself and customers are happy, and I feel like if we become mature as a business, like the process of aging miso, then we can move onto the next stage,” says Grady. 12/19/2018, We will have a miso making class on 2/10/2019 at Preserved. 1/17/2017, Koji has grown up well. Koji has grown up well on the barley , they are so beautiful. we will make 200lb country miso this weekend ! 9/23/2018, A demo table at Douglas!! Today I have a demo table at Douglas - Cafe and Corner Market! Sampling mini tofu dendaku. Please come to taste it. 12/5/2018, It’s brown Rice Koji!! It’s brown Rice Koji,the special order from the Lazy Bear. Looks beautiful! 5/8/2018, We are on the Local Public Radio "KALW 91.7fm at 5pm"
2/11/2018, We catered a lunch for a private party! !